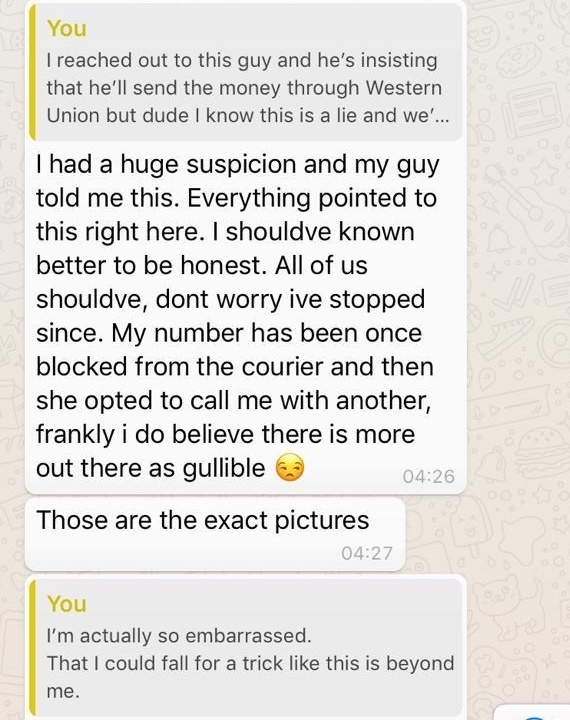 YOU'RE READING "I was scammed out of R8300 after being seduced on Tinder"
Women and the LGBTQIA+ community seem to be big targets of romance scams. Many stories have surfaced over the years of innocent women tricked into parting ways with their hard earned money. But it's not only single or older lonely (as is the stereotype) women in SA, getting scammed. Here is the story of a 29 year old, Ethan* who was scammed of over R8000 after he believed he found love on the popular dating app Tinder. "I met Cris on Tinder, around four months ago. His profile seemed legit so, we start chatting casually on the dating app. Before long our chats moved to Whatsapp and we started having more deep and meaningful conversations. However, I didn't share any personal information, like my house address or anything like that. He was the same. Although a relationship was forming, we kept things light hearted. Cris explained to me that he was a gemologist and that he sourced minerals from all over the world. Being a very ambitious person myself, I was very intrigued and attracted by this prestigious job title. Although slightly flirtatious, we kept things very friendly for a while. He would send me pictures of his everyday life - him playing with his dogs, selfies at the airport and those sorts of things. I was instantly attracted to the kind of person he was leading me to believe he was, well traveled, well-spoken and judging by the pictures he sent me of himself, very attractive. I thought to myself, this is it, I've finally found someone I could spend my life with. Our flirtatious chats continued over the months and as time passed I became more and more attracted to him. He would call me every day and send me voice notes. It was almost as if we were in a relationship - he sure made me feel like we were. Just over two weeks ago he he said that he would be taking a business trip to India and before he left he'd like to go shopping. 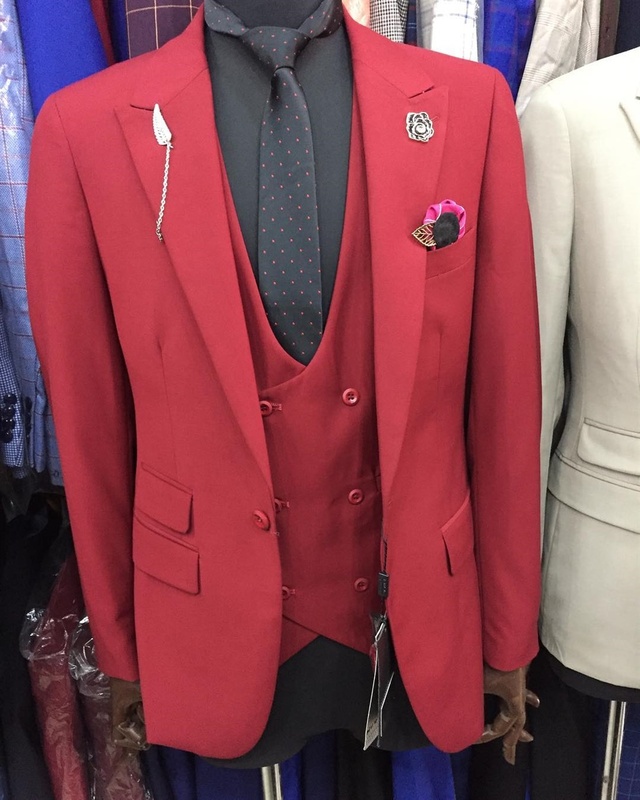 While he was "shopping", he sent me a picture of a nice suit. 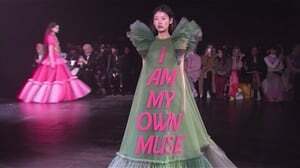 He said that it was a gift for me. I declined because it looked expensive and I didn't know him that well. He said that he was older and had the money, so "why not spoil" his younger boyfriend. 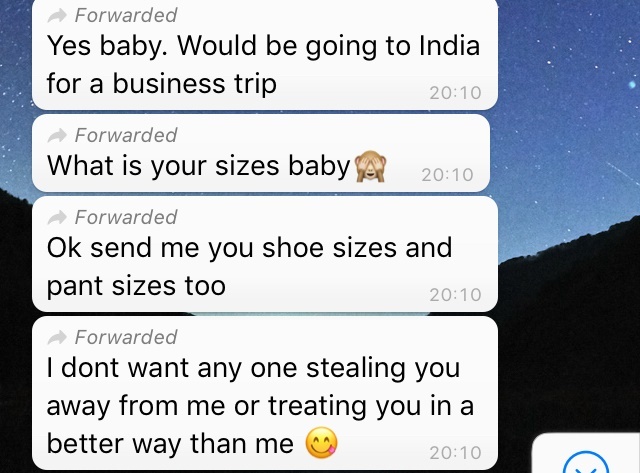 After I accepted the suit, he sent me a series of pictures of the things he had "bought me", a brand new iPhone, a laptop and a Gucci bag. He also asked me for delivery details. Feeling a tiny bit skeptical, I sent him my work address instead of my home address. The fact that it was more public made me feel a bit safer about the whole thing. A week passed and we kept in contact. 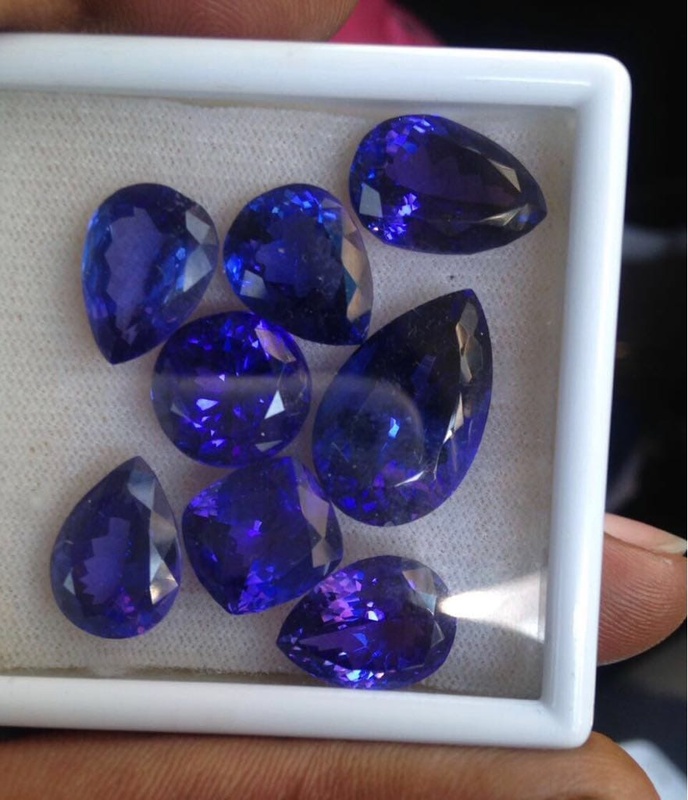 He showed me pictures of the tanzanite stones he was to sell in India on his business trip. It all seemed very real. Then I received a call from a lady who had a strong European accent. I was unable to speak as I was at work, so she texted me instead. 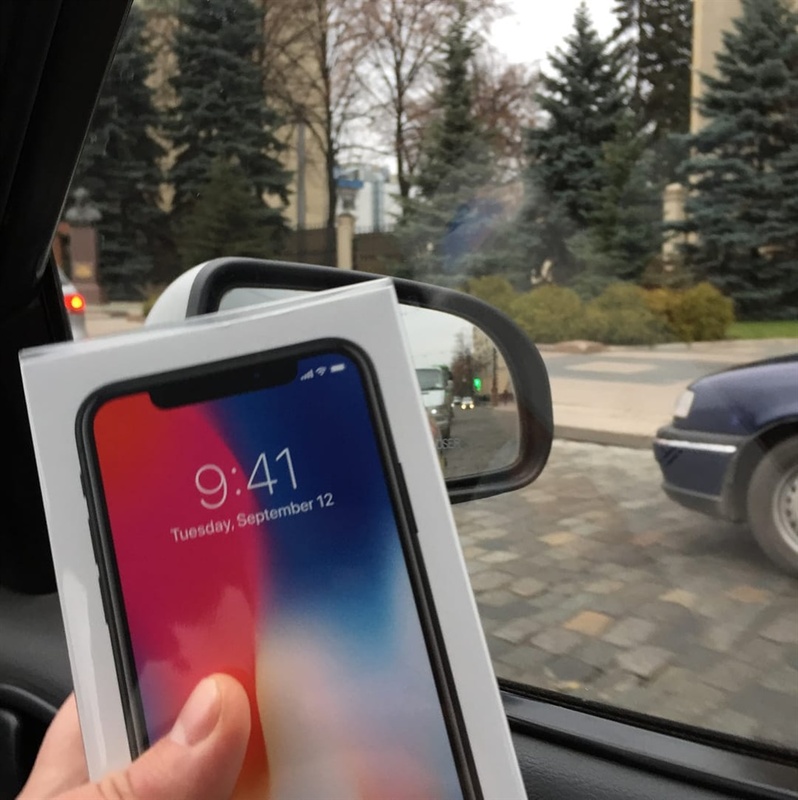 The message read that she was from a courier company and they had three boxes worth of goods to deliver and that she wanted to confirm the address. I was excited. Three boxes of goods, who wouldn't be? 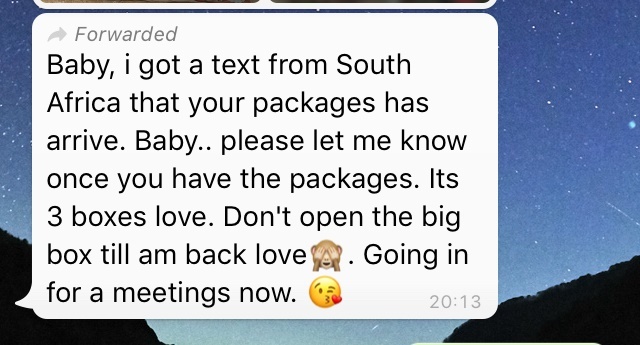 A few minutes later Cris sent a message saying that he had received a confirmation message that the goods were in South Africa, he also instructed me not to open the largest of the boxes because there was a special surprise in there. At this point I was ecstatic, I kept looking at the pictures of all the nice things he had apparently bought me and my excitement grew. I realised that this was worth more than anything I ever received in my entire life. I imagined myself in the nice suits and carrying the expensive Gucci bag. An hour later the courier called and said that because of the size of the gifts, customs was reluctant to let it through and I'd need to pay a fee for it to be released, R2 300 to be exact. At this point alarm bells were ringing but when I considered the things inside the box, I thought they would be worth a lot more than the amount I was being asked for. So I paid the fee. I mentioned the fee to Cris, who did not respond but I wasn't bothered because earlier he had said he would be in meetings all day and obviously would not respond to texts. About half an hour later the European woman sounding woman called back frantically asking what exactly was inside the boxes because customs have found something irregular in a black Gucci bag, the same one he had instructed me not to open because it was a "special surprise". I explained everything that should be in the boxes, which she confirmed and ticked off. She also mentioned a laptop. This made me even more excited because he didn't mentioned that. Twenty minutes later she called back to say that the black back contains foreign currency. An envelope full of it. 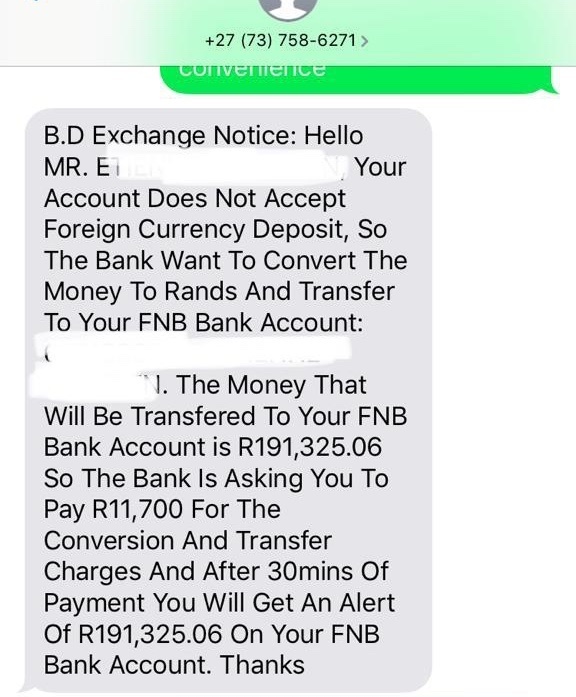 She further explained that foreign currency needed to be declared when shipped and that I would need to pay an admission of guilt fee which is R6 000 and then they will continue the shipment. She also asks me for another R11 000 to convert the money to rands. I had no money except savings for a trip to New York I was planning to take next year. So I contacted Cris. He apologised and said that he was hoping to surprise me for my birthday and didn't think that I would get into any trouble. He also said I should tell them to keep the bag but send the rest of the goods. After more communication with the lady she settled for the R 6000 in exchange for all the goods and the money to be delivered for me. READ MORE: Could that job you’re applying for be a scam? I decided that R6 000 would be a small price to pay for the amount of things I'd be receiving in the three boxes so I paid it. I spoke to Cris about the trouble and explained that I had been saving that money for my trip next year. He responded very apologetically and promised to send me the money in the morning. At this stage I just wanted the boxes to arrive and so I accepted his apology. The lady from customs called back asking for my banking details to pay the money found in the Gucci bag into my account by 5pm the next day. She also said that my parcels would arrive at 5:30pm. She also explained that I should send confirmation once I received the goods and the money had cleared in my account. At this point everything still seemed legit. The next day (on which my parcels and money should be arriving) I texted the lady and received no response. However Cris was still insisting that he was going to the Western Union to supposedly reimburse my R8 300. By then, I was aware that I could very well be a victim of a scam but I continued playing along hoping that he would at least send me back my money. 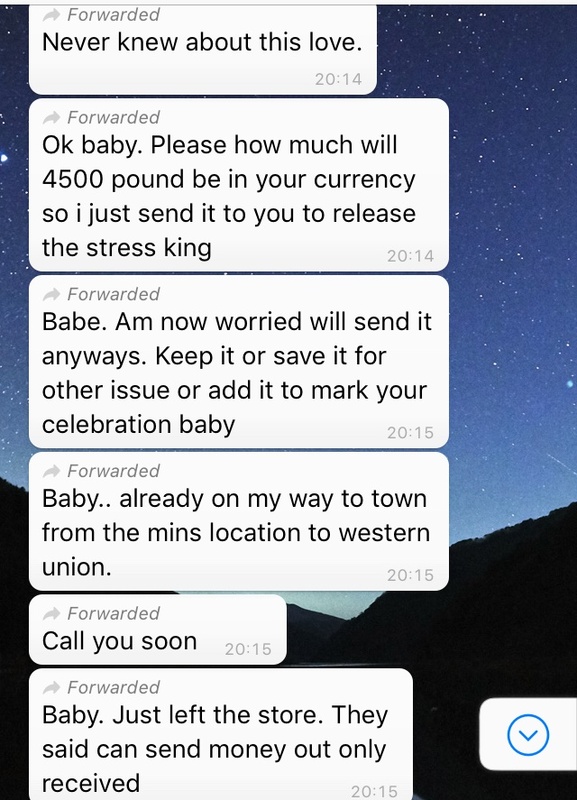 He then explained that he was unable to locate a Western Union that would take transfers because he only had cash. I carried on messaging the lady from the courier service with no luck. At this point, Cris had also stopped responding, and seemingly blocked me from all his social media accounts. After speaking about what happened to me on my Facebook page another young man came forward and explained that he had fallen for the exact same scam and had paid over R20 000 for the "gifts" a foreign man whom he'd met on Tinder had promised to send him. By then the reality that I had fallen victim to a carefully planned and executed scam had hit me hard. In sharing this ordeal, I hope that people will be more vigilant about these types of things. 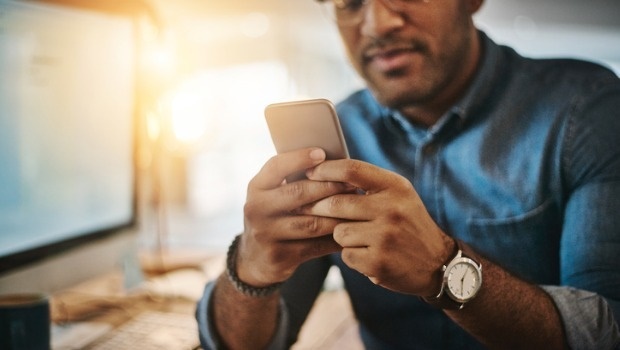 It seems that young gay men are being singled out on Tinder and lured into a false relationship just to be tricked into sending large amounts of money for gifts that never arrive." This is not the first time someone has been scammed after "finding love" on a dating site. Fraudsters often use dating sites and usually "groom" their victims for months before they make their actual move after the unsuspecting victim has developed a sense of trust and compassion for the perpetrator. Is there anything you can do after you've been scammed? I spoke to Kalyani Pillay the CEO of SABRIC, a non-profit company that aims to eliminate bank-related crimes in SA. "This is a Romance Scam which uses social engineering to manipulate people into handing over money. The internet is used for almost everything, including finding a lifetime partner. Unfortunately there are predators that prowl legitimate dating sites for victims to scam. Scammers often create profiles and post them on legitimate dating sites waiting for potential victims to take their bait. They may even go as far as targeting specific kinds of people by creating a profile that meets the requirements of a match for the person they are targeting. These scammers are con artists and are skilled at building trust and making victims fall in love with them as they pose as their ideal partner. Once the victim’s defenses are lowered and they become emotionally vulnerable they trick to you into giving them money." Unfortunately more often then not the scammers use fake IDs to create bank accounts so once a 24-hour time period has passed the money is withdrawn from the account and the account is closed, rendering the money and the scammer untraceable. Any tips on what to watch out for to avoid falling victim? 1. Be suspicious of people who have out of the ordinary jobs. The most common scams involve people working in the army, navy, air force, United Nations and other jobs that require large amounts of travelling. 2. Watch out for emails where content has been pasted into the email, the fonts and font sizes always vary, or where the emails are not personally addressed to you i.e. “Hi beautiful”. Scammers often target a number of victims at the same time and make use of the same content in their emails to all victims. 3. Never send money to anyone that you are communicating with over the internet. 4. Look out for inconsistencies in the communication sent to you. Syndicates often have a number of people manning their online dating sites so you could possibly be chatting to two or three different people. 5. Be wary of people who keep promising to meet you and always cancel at the last minute. And never give someone money to come and visit you. 6. Should you arrange a meeting with someone you have met online, ensure that you meet in a public area and possibly with friends. 7. Be careful how much personal information you share on social networking sites. Scammers can use this information to target you with a scam. 8. Should you suspect that you are being targeted by a scammer, stop all communication immediately and report it to the online dating service immediately.